It's history in the breaking! 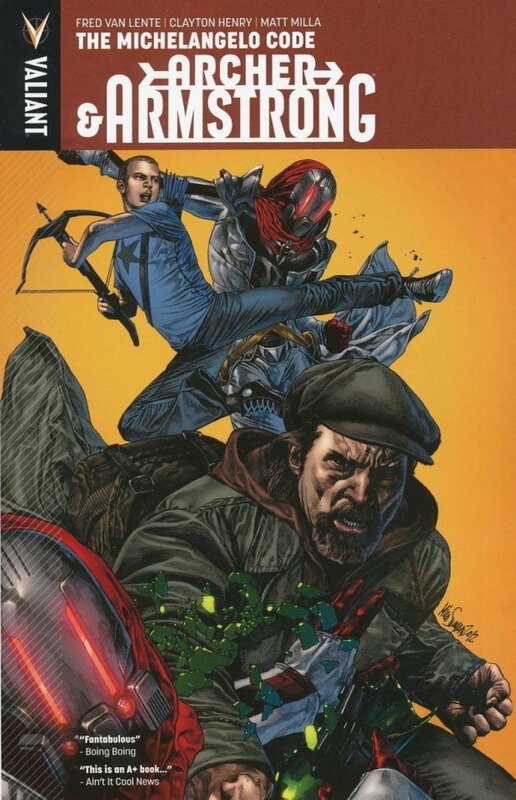 After years of meditation and training, 18-year-old Obadiah Archer has been dispatched to New York City to carry out the sacred mission of his family's sect - locate and kill the fun-loving, hard-drinking immortal known as Armstrong! But as this naive teenage assassin stalks his prey, he'll soon find that both hunter and hunted are just pawns in a centuries-old conspiracy that stretches from the catacombs beneath Wall Street to the heights of the Himalayas. 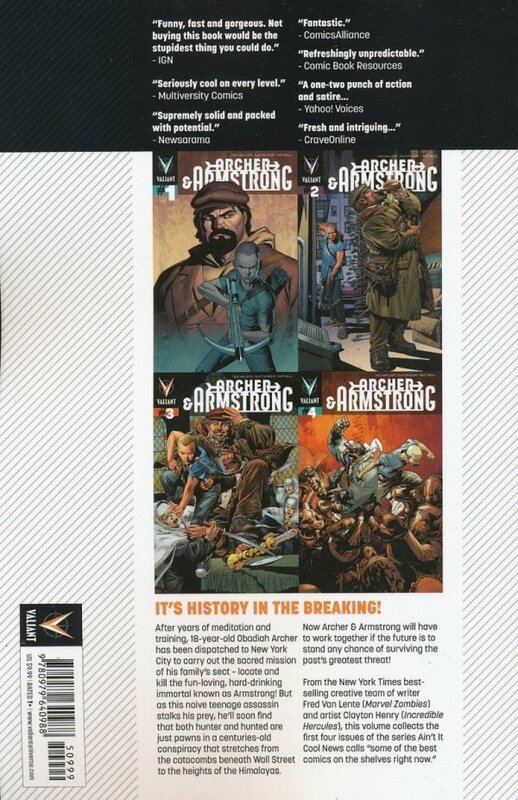 And Archer & Armstrong will have to work together if the future is to stand any chance of surviving the past's greatest threat!